The day we arrived in Krakow, Poland, we were delighted to sit down and enjoy a wonderful lunch, but not as eager to continue a tour to a salt mine. Personally and for most in our group of four, we had been in mines before. Despite something we were pursuing with hesitancy, we ended up enjoying ourselves immensely. 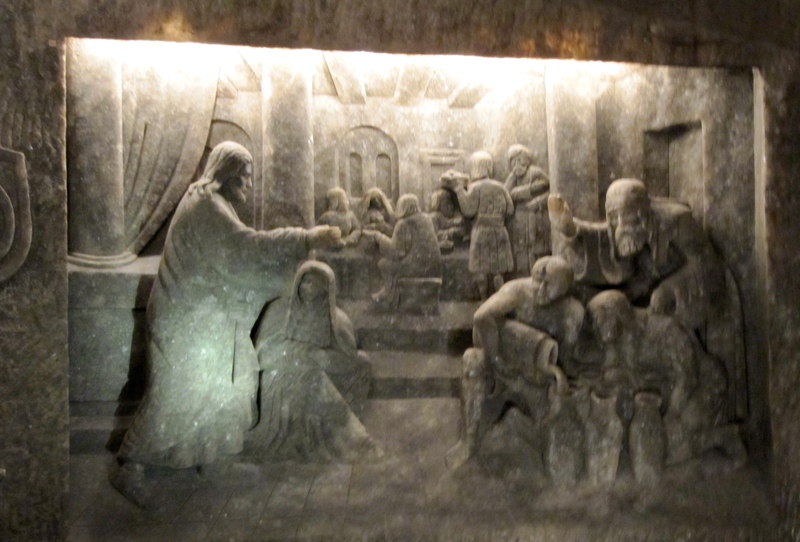 We were not prepared that our excursion down over eight hundred steps of the Wieliczka Salt Mine would reveal artwork in salt, like nothing we had imagined. To reach the interesting part of the mine, our first encounter in starting our journey was descending three hundred and fifty steps. The rest of the eight hundred plus steps downward were more gradual, a total of more than 1,000 feet or 135 meters. Our knowledgeable guide was providing some history while we were walking. 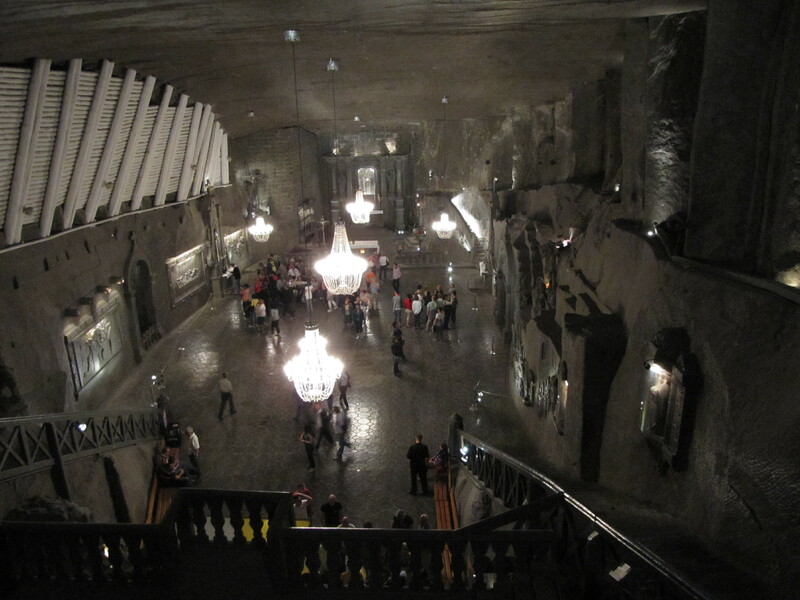 Being in business for over seven hundred years, Wieliczka Salt Mine is the oldest business in Poland. It has been on the UNESCO list since 1978; not as much for the rock salt it mined, but for the cultural center it always provided. That seems like an oxymoron, but it’s true. The mine also received the European Medal awarded by the Business Centre Club for products and services of European standard. The air is so clear and pure; miners didn’t get sick with respiratory problems that ordinarily plague the trade. Quite the opposite, they became and stayed healthy. While working, they also used their talent to carve statues from salt. So along the way, chiseled in the rock salt, you will see saline lakes, majestic timbers used for infrastructure, magnificent statues, mining equipment, a chapel where mass is still conducted and is also used as an absolutely beautiful chapel/ballroom with its ceiling extending to one hundred feet. 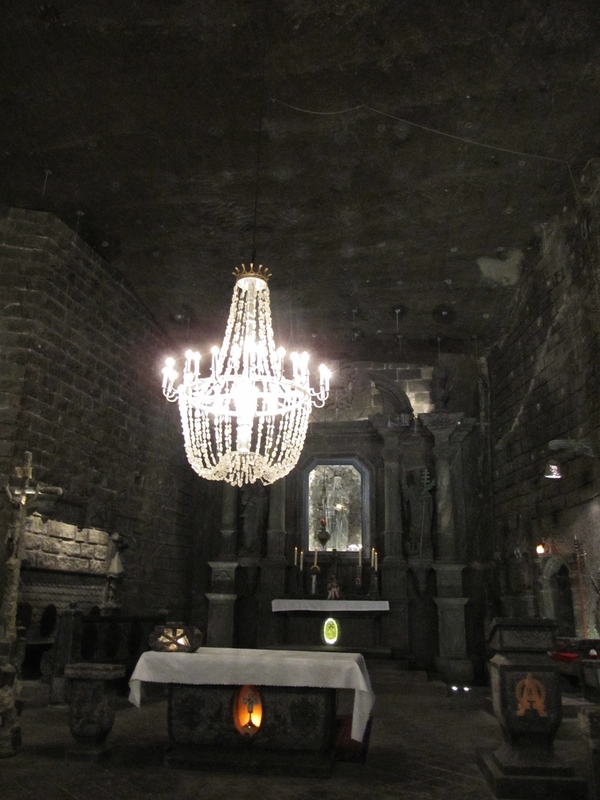 The chandeliers that look like crystal are made from rock salt. Visitors hear all about Princess Kinga and how she brought art treasures to the Poles. Half way along the route is where you will observe the chapel dedicated to her, which is decorated with salt and saline works of art. There are twenty various chambers, but the Chapel of Saint Kinga is the brightest. 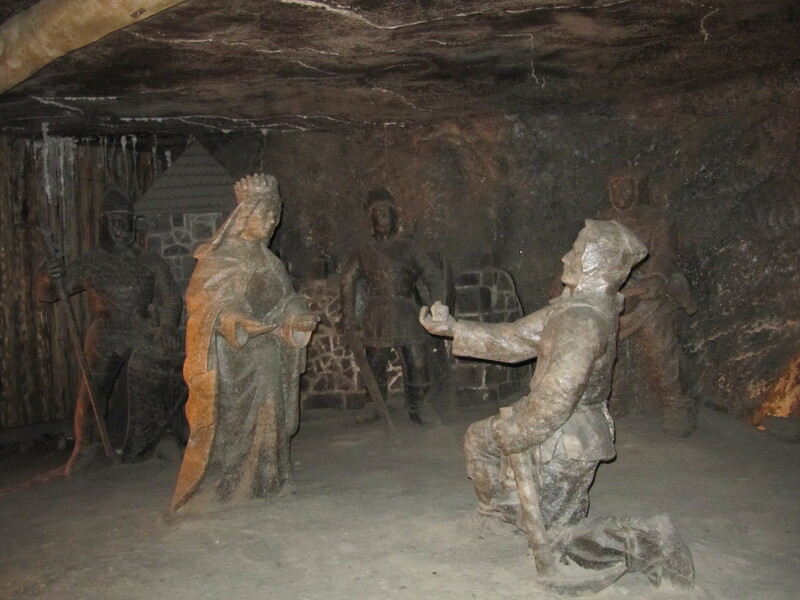 The guide shares the story of how Kinga threw her engagement ring into the Maramures salt mine in Hungary. Somehow, this ring made its way, along with the salt deposits, to Wieliczka, where a miner discovered it. 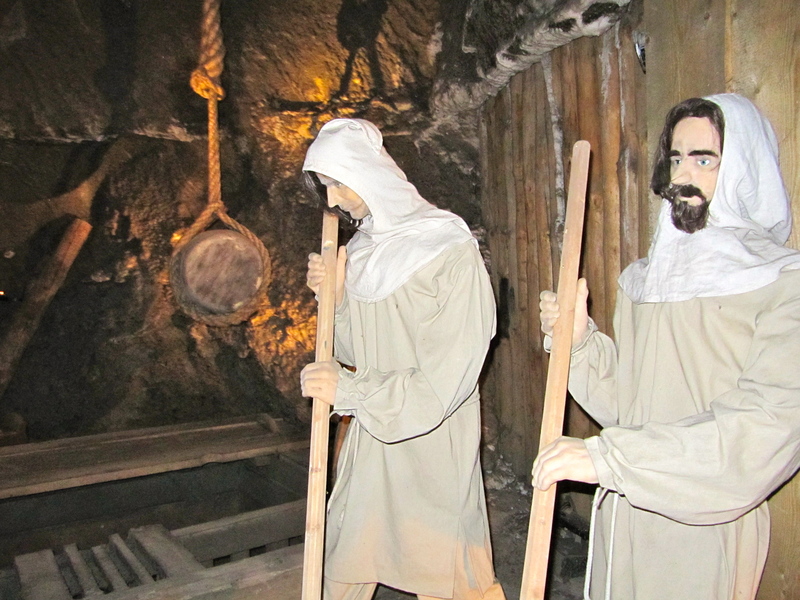 Saint Kingas Chapel is the area where the miner found her ring. 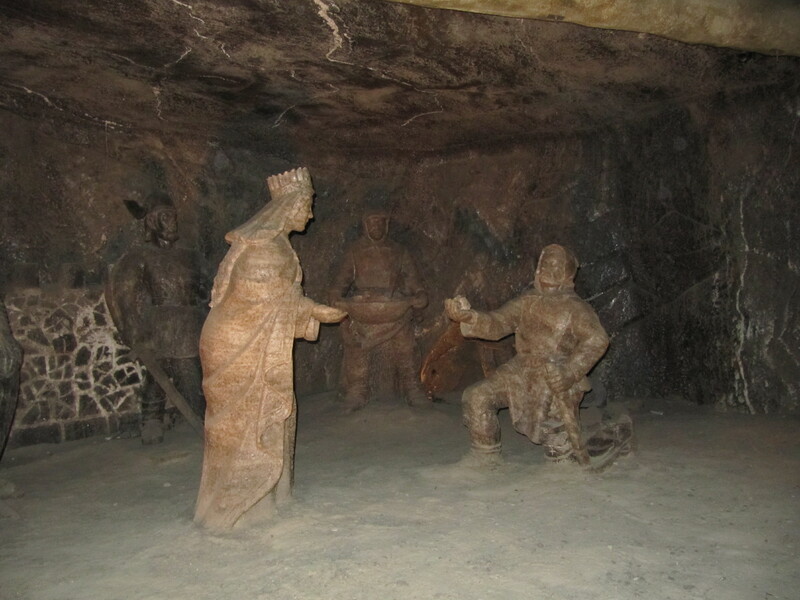 When carving and constructing the chapel, the carved salt statue of Saint Kinga, patron saint of salt miners, is one hundred and one meters under the surface. 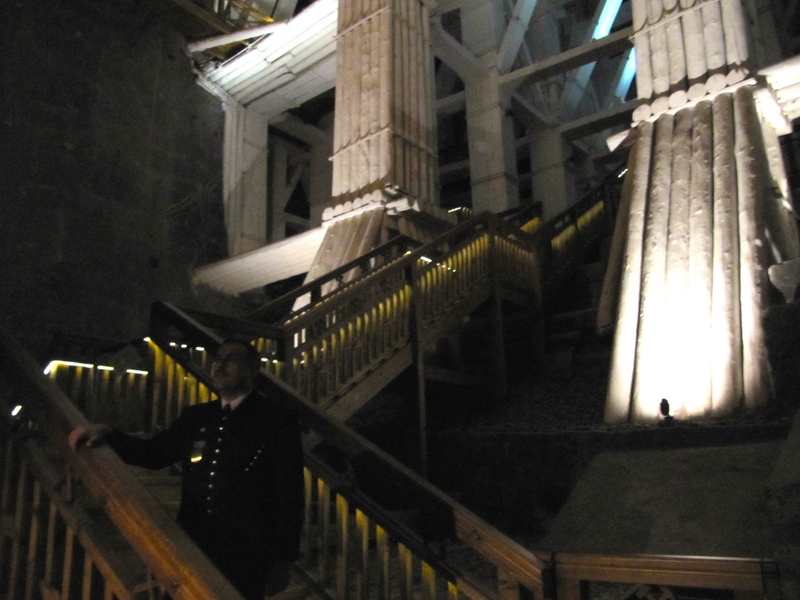 Given that the area is deep and large enough to fit the Eiffel Tower, it was no surprise that, during World War II, the Germans stored spare parts for their aircraft in the mine, as bombs could not detect or damage. During the past fifty to sixty years, mining slowed to a stop. 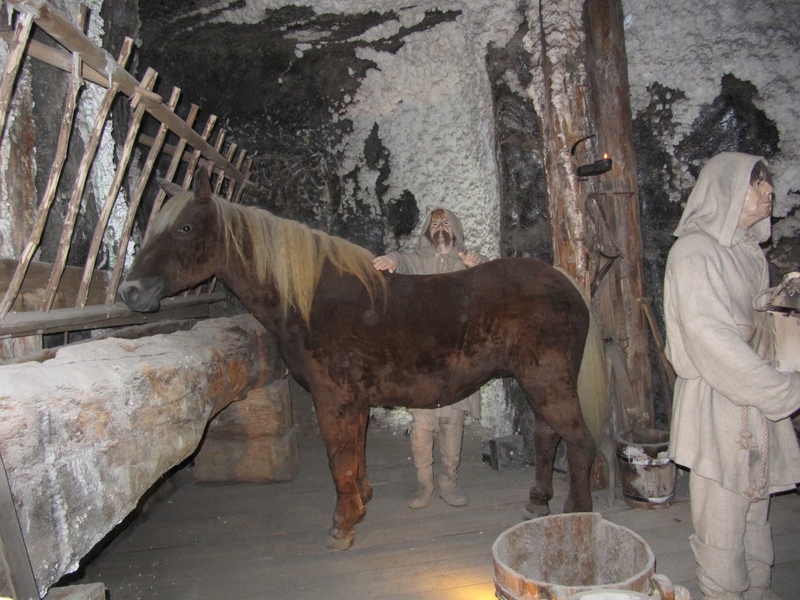 However, the mine is still productive, as tourists have started to visit. 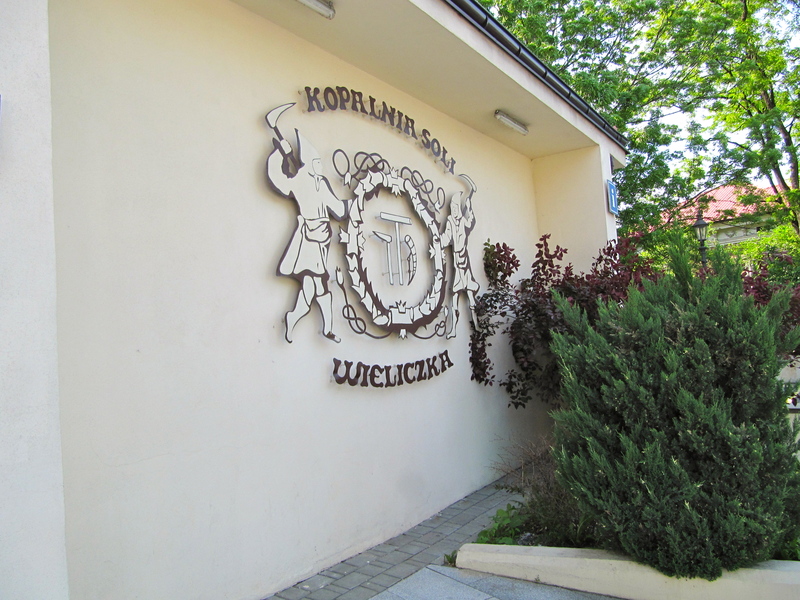 On one level, there is a health spa called Wieliczka Salt Mine Health Resort. It’s an ideal escape for those with asthma and allergies. As one breathes deeply, everything is good for your health. Its Deep Relaxation program guarantees comfort and relaxation, with participants practicing breathing and various relaxation techniques. As participants release their stress, they discover an unexpected amount of energy. 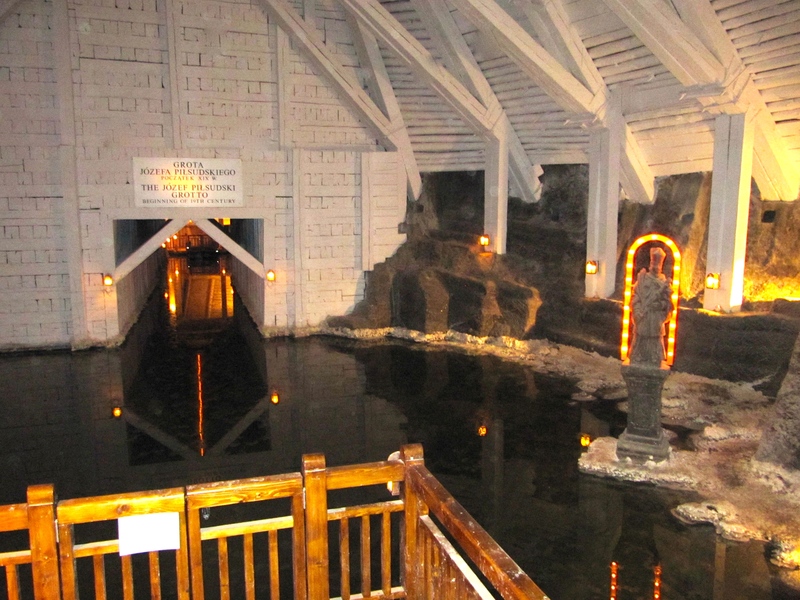 “The Wieliczka Salt Mine offers in the underground mining chambers with the use of a unique micro-climate and air free of pollution and allergena, rich in micronutrients, with a constant temperature, high humidity, and free from harmful radiation. “This innovative treatment method – subterranean therapy – was created right here and active rehabilitation of the respiratory system is still conducted at the mine using the medicinal properties of the underground environment. 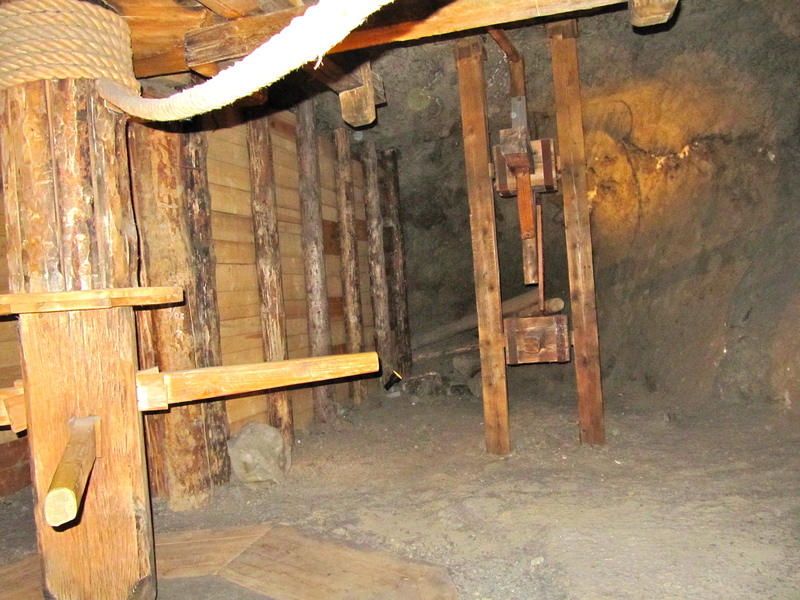 In addition to the resort and regular visitor route through the mine, you have the option of doing a miner’s tour, which starts at the Regis Shaft. 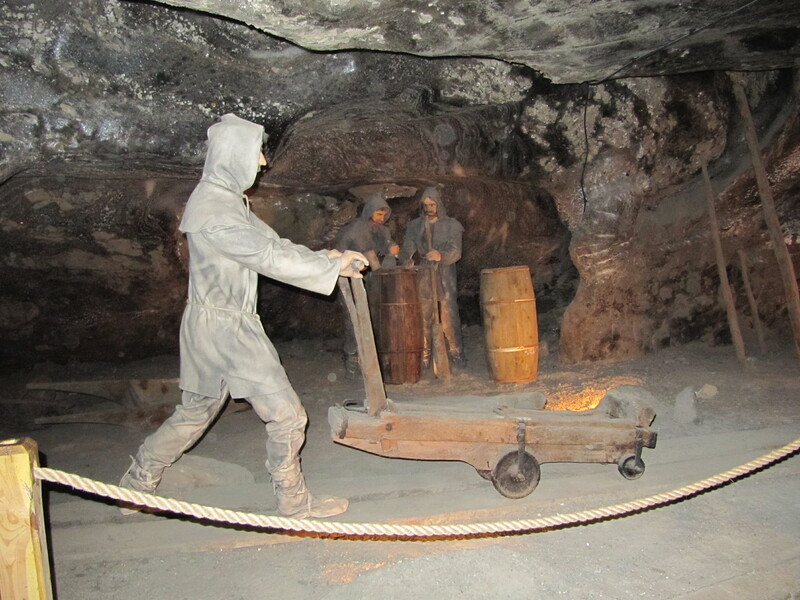 Wearing helmets, miner’s lamps and carbon monoxide monitors, you climb down further into the mine, which is the hardest route and physically demanding. This route does not connect with the visitors’ route. I’m sure it is exciting, but the visitors’ route was exciting enough for our group. 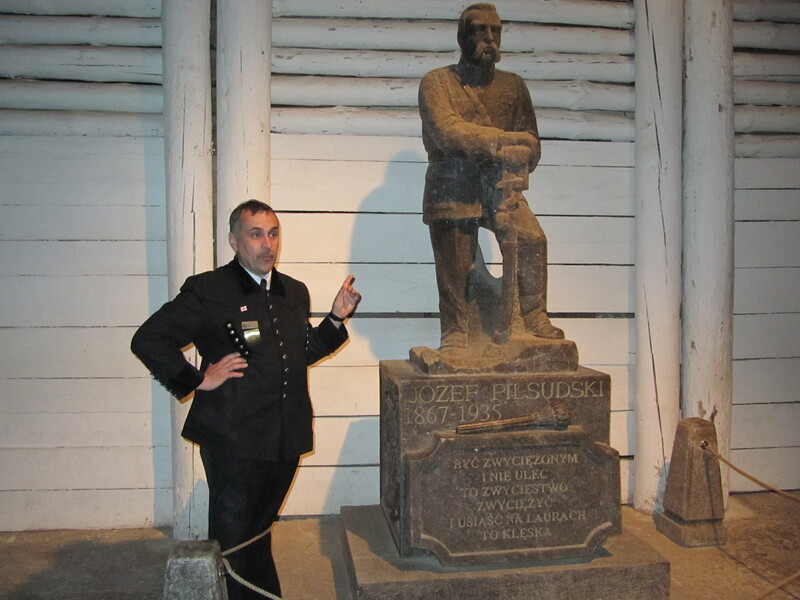 If you have the opportunity to visit Wieliczka Salt Mine, I’d highly recommend comfortable shoes, and warm clothing. The temperature will be between fourteen and sixteen degrees Celsius or fifty-seven to sixty-one degrees Fahrenheit. By the end of our visit, it was easy to see why so many have weddings and special events in the chapel. There is an elevator to take visitors up to the upper level and that was an unexpected bonus. We did not have time to take advantage of the multimedia in the Lill Gorna Chamber. But everything we did see was exciting and believe it or not, I would look forward to visiting this mine again to take in what I overlooked or missed the first time around. My experience was courtesy of the Polish National Tourist Office.